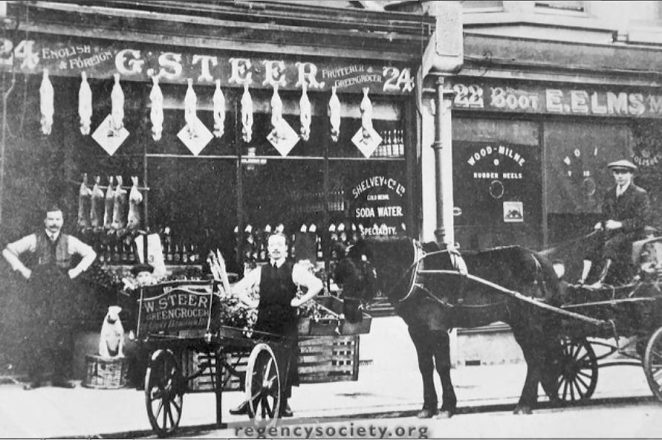 The first photograph, showing Steers Fruiterer and Greengrocer at 24 Upper Hamilton Road, was taken in 1910. If you look very carefully you will see that there is a small boy standing next to the gentleman in the doorway. The child’s head is only just visible over the top of the greengrocer’s cart. 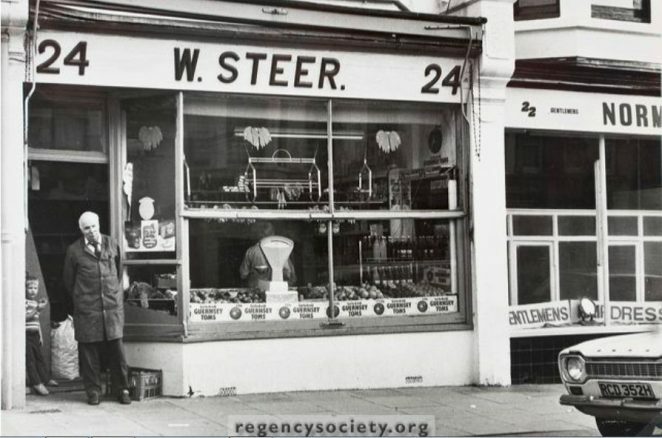 In the second photograph of the same shop, taken sixty six years later in 1976, you will see that by then the boy had grown into a man, standing in the doorway is Mr Steer, the proprietor of the business. As you will see from the third photograph here, one hundred and three years on and the shop is still involved in the food trade. 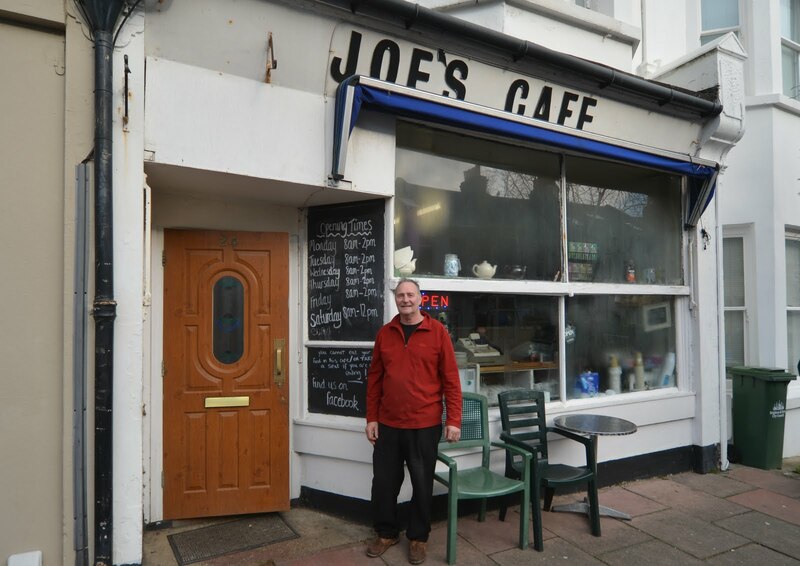 Proprietor Brian stands outside Joe’s Café which is a very popular and busy local café with a mixed clientele.